“The first time I went to Baca Ortiz [hospital], I felt like the entire world fell over me,” Emilia remembers. “I do not wish this disease on anyone. It is tough. The chemotherapies let us down. Little by little I was assimilating, because I did not accept the disease. It was there when I clung more to God." “The first chemotherapy my daughter received affected her heart, gave her tachycardia and put her in intensive care,” adds Liliana, Emilia's mum. "But although the doctors told me that she was not going to survive, my daughter managed to make it. Give thanks for Emilia’s testimony. Praise God that the doctors have recently given her the all clear. Pray for protection over Emilia's future health. Pray in faith that her cancer never returns. Give thanks that children like Emilia can access medical support thanks to our Health Response. On Sunday 21 April, a series of explosions occurred in several Sri Lanka cities in churches and hotels. 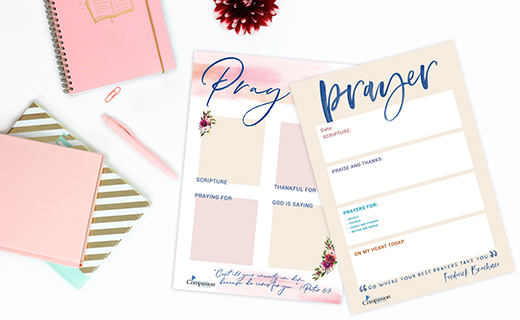 Be encouraged in your prayer life with this collection of free prayer journal templates. 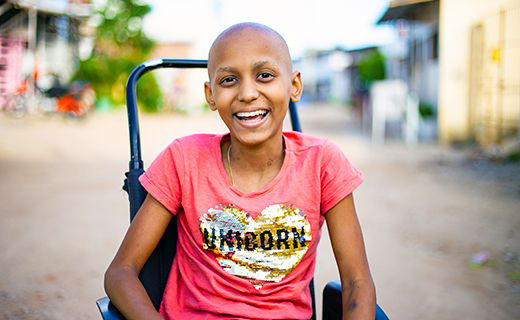 Update: Praise God, Kauany Is Now Cancer Free!